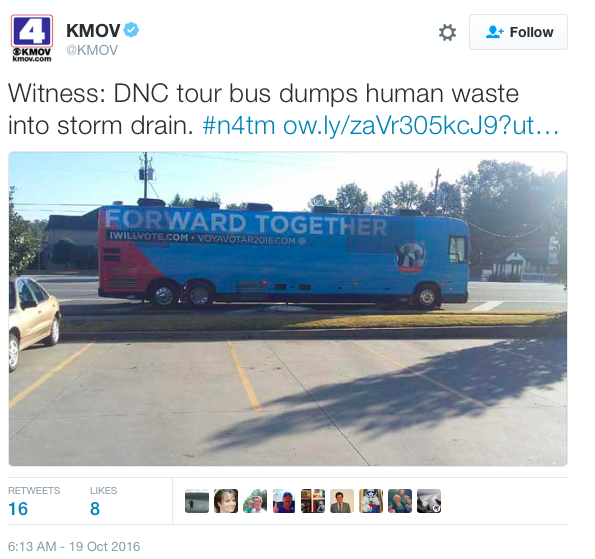 The Democratic National Committee has officially apologized after it was reported that Hillary Clinton’s tour bus was dumping human waste on the street in Georgia. 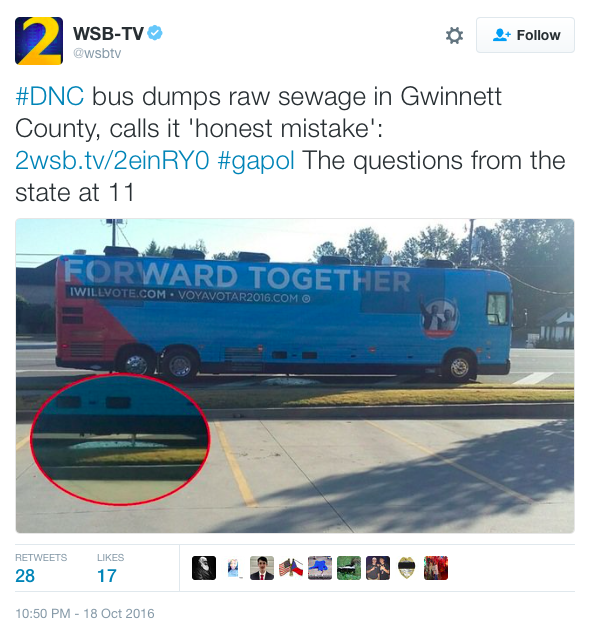 The bus was seen dumping the sewage from the on-board bathroom into a storm drain on the side of a road near Atlanta. The discovery was made when a local businessman, Mike Robins, saw a bus with the slogan “FORWARD TOGETHER” written across it and brown liquid pouring out of the bottom. Robins took out his phone and took pictures before alerting police. The incident is being investigated by Gwinnett County’s storm water department along with the State Environment Protection Division.